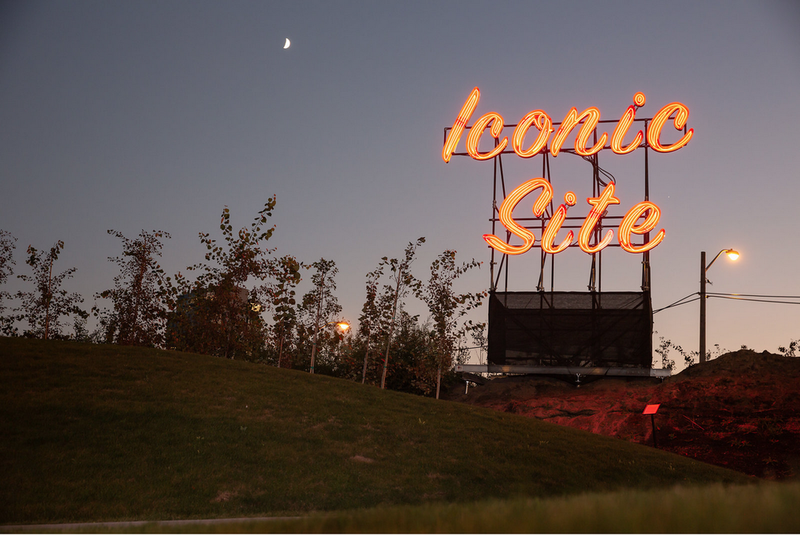 Iconic Site (#5) will be installed until the 30th of November, as part of The Bentway’s Fall Art Exhibition If, But, What If? Positioned atop a hill at The Bentway’s newly opened Strachan Gate, the work reflects equally on the changing nature of the surrounding communities and the ambitions of The Bentway project itself, which has transformed one of Toronto’s most significant landscapes into a new shared public space for the growing city. It is here that we recognize each signature city project is part of a larger continuum of change, remaking a site “iconic” time and time again. Opening Saturday 15th of September 2018, Iconic Site at The Bentway. Iconic Site was created as a response to the situation of many cities, where massive waves of new developments have changed the face of our urban environment, often replacing the character of the place with hollow words and meaningless sentences. Originally developed as a commission for the Centre for the Urban Built Environment in Manchester, the work has been re-imagined for its new context, with the iconography and typography of signs found on North American roadsides. Here, in the dense heart of Toronto, where a two-decade long development boom has radically transformed both the cityscape and the lexicon used to describe it, the work takes on new relevance. The Bentway is a new public space and programming platform that is both of the city and about the city. Through the lens of arts, culture, and recreation we explore the changing landscape of Toronto and urbanism on a global scale. The Bentway is a member of the High Line Network, an international network of projects that transform underutilized infrastructure into new urban landscapes. 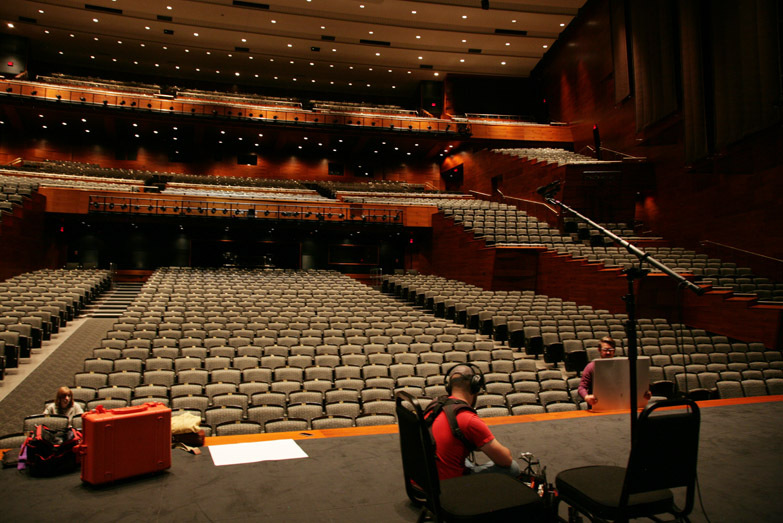 We are currently developing a new piece for Urban Lights Ruhr, An Audience for One, and we had the pleasure of working at the Southern Alberta Jubilee Auditorium, recording in their beautiful space. Thanks again to all who took part in the evening.